There is a good reason why you do not see many pictures of people riding giraffes. A giraffe is a huge animal with a very steeply sloping back that is simply not made for riding. It is also not an animal that has traditionally been partnered with people, and feeding a giraffe is an extremely costly proposition. For this reason giraffe riding is not something that has been developed in the past, and it is not something you will commonly see. Be that as it may, if you have been wondering “Can you ride a giraffe?” you will be happy to learn that there is a young man in South Africa who has given it a try. He says he is following in the footsteps of his great uncle who was a giraffe-riding circus performer with Chipperfield’s Circus during the 1950s. Shandor Larenty was 17 years old in 2012 when he began working with a baby giraffe named Mara on his family’s South African farm. He says that Mara was abandoned by her mother, so he has had to raise her by hand. When Mara was three months old and over six feet high at the shoulder, Shandor began working with her to train her for riding. He believes that knowing how to be ridden will be good for the giraffe because it will be good exercise for her. He believes that he will enjoy giraffe riding, as well. Shandor has another pet giraffe named Purdy who is an adult and stands 18 feet high. He is also very bonded with Purdy. Shandor hand raised Purdy as well. He says that he realizes he will probably not be able to do as much with Mara when she grows to her full size; however, he thinks that continued handling will help them create a strong bond. While this story proves it is true that you can ride a giraffe, it is not very common and few people will ever have the chance to experience it. 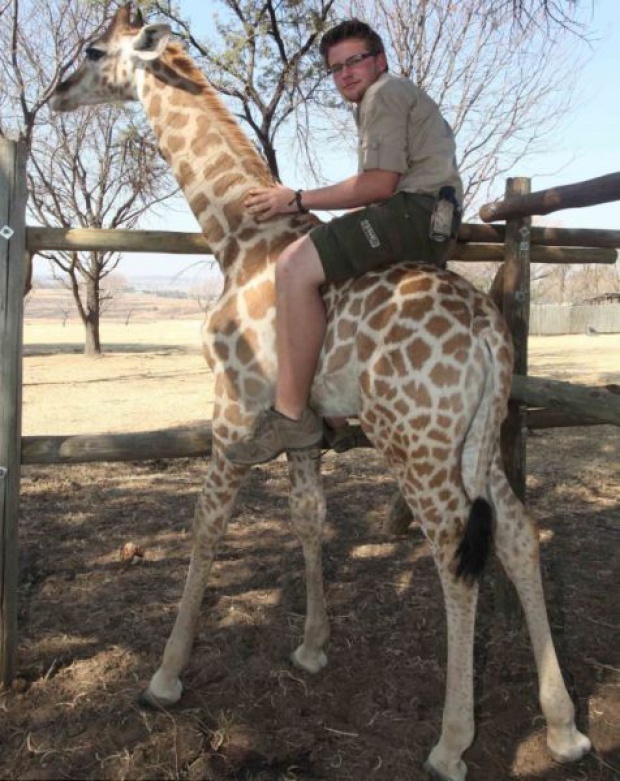 It takes years of commitment and care in order to convince a giraffe to let you ride it.